The Board of Directors of Raffles Education Corporation Limited (the Company ) wishes to announce the grant of options pursuant to the Raffles Education Corporation Employees Share Option Scheme (Year 2011). (1) Date of Grant: 14 September 2018. (2) Exercise price of options granted: S$0.148. The exercise price is equal to the average of the last dealt prices of the Company's shares for a period of five (5) consecutive market days immediately preceding the date of the grant. (3) Number of options granted: 3,195,000. 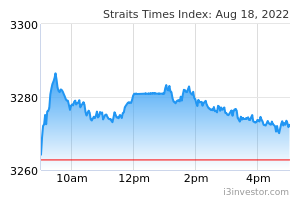 (4) Market price of securities on the date of the grant: S$0.151. (5) Number of options granted to directors: Nil. (6) Number of options granted to controlling shareholders and their associates: Nil. (7) Validity period of the options: 10 years from the date of grant.